Gift your loved one with this timeless ring as a milestone anniversary present. 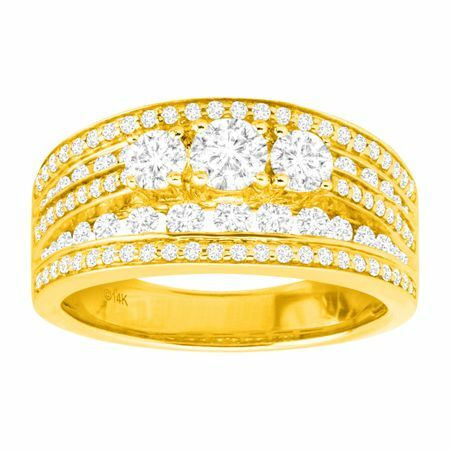 IGI Certified round-cut diamonds, totaling 1 1/2 ct, cover the multi-band style face of this 14K gold ring with three graduated stones elevated above the band in a dramatic pronged setting. Ring face measures 3/8 inches in width.